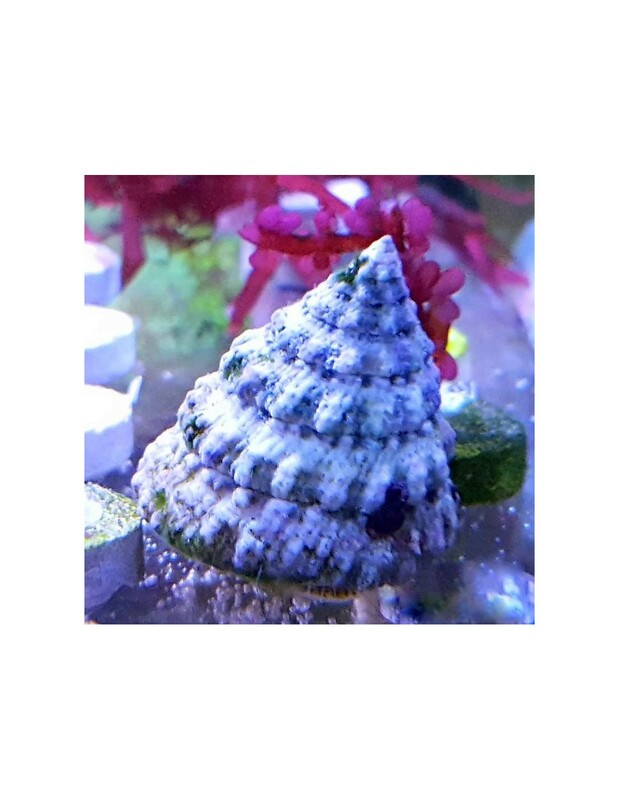 The Turban Snail is a great addition for the marine aquarium as it will help to eat the film algae from the glass and other nuisance micro algae. It has a "Turban" looking shell and a white foot with small black dots. This snail is a great addition to the cleanup crew and looks with its turban-shaped shell and its spines quite interesting. 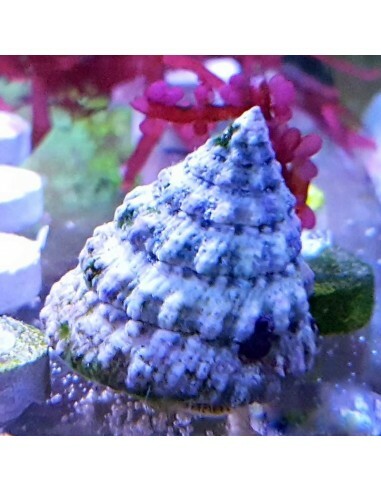 Like others snails, it is very sensitive to copper-based medications and it doesn't like too high nitrate levels.